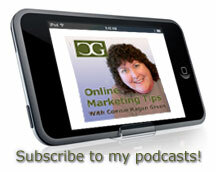 Getting Started Online is a wonderful way to build your business for now and the future. Are you focused on building your business on the Internet as an online entrepreneur? People around the world have discovered that starting an Internet business is the fastest way to achieve both time and financial freedom, as well as to great success in your life, and you need help to get there quickly. 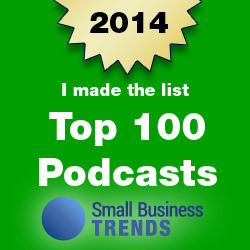 That’s why I started this online marketing tips podcast for my community. Getting started as an online entrepreneur can be confusing and overwhelming, but it doesn’t have to be that way. 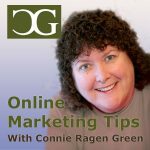 In this episode of the Online Marketing Tips Podcast With Connie Ragen Green, my newest marketing training podcast series, I discuss in great detail how I was able to get started back in 2006. I share exactly what I was thinking and doing that allowed me to move forward so quickly. I also discuss the importance of growing a list and increasing your visibility to build your business as an online entrepreneur. 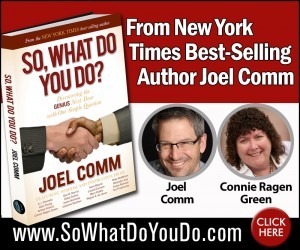 I take questions from those who attended the live recording, including why coaching and mentoring is so important, my 10K Laser Coaching program, and how to decide just how much personal information to share when you become a public figure online. Also, when I am asked how to start earning right away I share the details of what I did that very first year. I also discuss how I have created a lucrative business online without having a business background or any previous experience in this area. Someone asks me what to do with the ‘hundreds of ideas flying around in their head’ and I address the importance of focus and clarity as you grow. We also discuss my next live event in Las Vegas (The Weekend Marketer: Affiliate Marketing) and why I’d like for you to be there. 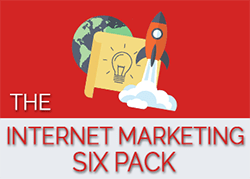 The program I discuss is one that offers a monthly package that can quickly and easily be turned into an information products to sell online. I do this regularly and the sales are a part of my income as an online entrepreneur. Getting started online has never been easier. Just two or three sales and you have recouped your expenses and you’ll be earning income for months and years to come. This online marketing tips podcast, as well as all of the calls in my podcast series is intended to teach you and other new online entrepreneurs how to take your business to the next level quickly and effectively, and as a way for me to share my exact Case Studies, secrets, and advice on creating a profitable and lucrative online business using the ‘multiple income streams’ approach. You will see that each session is first recorded live as a teleseminar, and then repurposed into a podcast to extend my reach to the world. 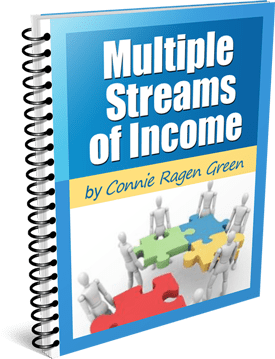 Please join my list to be included on these calls, and be sure to introduce yourself and share your site for optimal exposure for years to come!